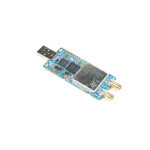 The bladeRF 2.0 micro xA4 is the next generation Software Defined Radio (SDR) that has been packed i.. 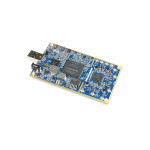 The bladeRF x40 is an affordable USB 3.0 Software-Defined Radio (SDR) designed to allow students and.. 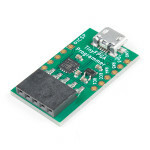 The TinyFPGA AX2 board is a bare-bones breakout board for the XO2-1200 field-programmable gate array.. 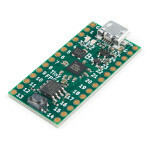 The TinyFPGA BX is a small field-programmable gate array (FPGA) board with all of the components and.. 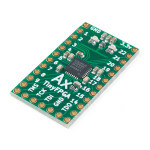 If you have yourself a TinyFPGA A-series board (including the AX2 found on our site) then you are de.. 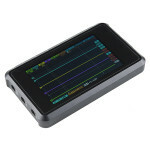 The Black DSO Quad is an open-source pocket-sized 4-channel digital oscilloscope. It’s based on the .. The LimeSDR is a low cost, open source, apps-enabled software defined radio (SDR) platform that can .. The LimeSDR Mini development board is a hardware platform for developing and prototyping high-perfor..
Alorium Technology Sn? 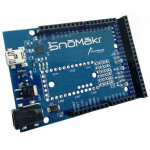 Development Boards are FPGA based, Arduino compatible and programmable with A..
Sn?M?kr is a breakout board for Alorium Technology’s Sn? 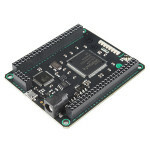 FPGA Module. 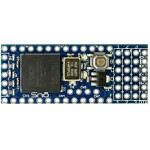 This board makes prototyping w..
Mojo (n) is defined as "the art or practice of casting magic spells." With the Mojo v3 FPGA you will..